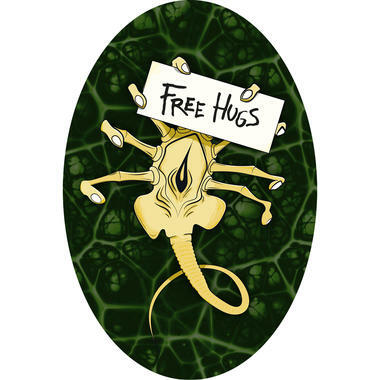 At times, even small aliens need some love! 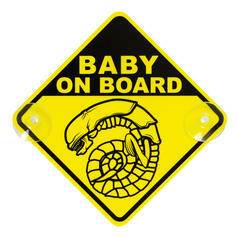 Why do people always think that science fiction is just about spaceships, lasers, Vulcan nerve pinches and explosions? After all, there's so much more that makes our favourite genre as special as it is. Love, for example! 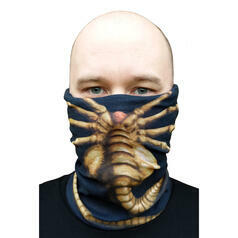 The "Free Hugs" Sticker shows a prime example of the peaceful nature of science fiction: this incredibly cute and iconic alien facehugger offers free hugs. Isn't that heartwarming and selfless? Come on, nobody has ever died from a hug. So, get in there! 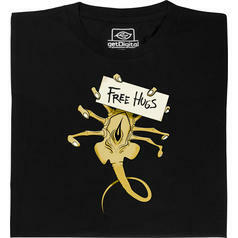 from 22,95 € lade... Fair Geek Wear Free Hugs Facehugger T-Shirt Hugs make you happy! 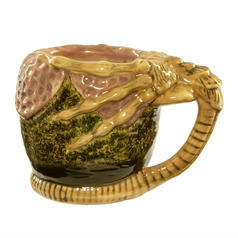 Which is great as this Alien Facehugger is so ready and willing to provide them for you!